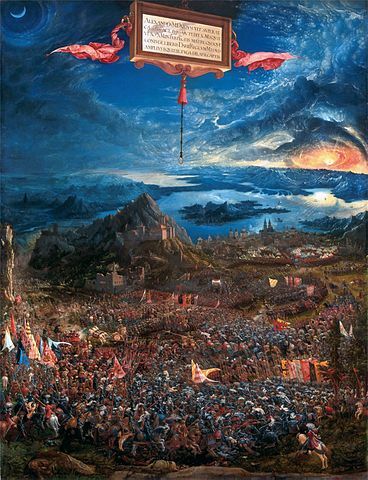 The Danube School of painting, which included Durer and Cranach, was best known for its study of landscape painting. The painter who epitomized this style was Albrecht Altdorfer. His most famous work, The Battle of Issues, depicts a famous battle from antiquity between Alexander of Greece and Darius of the Persians. It was likely based on a mosaic that survived from antiquity on the same subject.